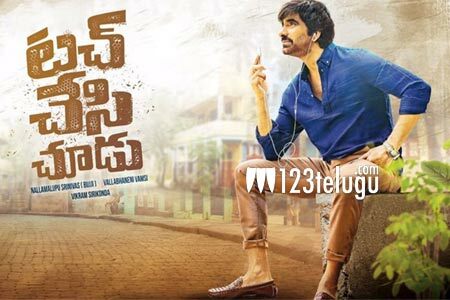 After a long gap, Ravi Teja is acting in back-to-back movies – Touch Chesi Chudu and Raja The Great. In Touch Chesi Chudu, the Mass Maharaja is playing the role of a cop. According to the latest reports, Touch Chesi Chudu will bring Ravi Teja back to his main forte, comedy. It’s been a while since Ravi Teja entertained his fans with his energetic comedy and this film will quench his fans’ thirst thoroughly. Writer turned director Vikram Sirikonda is directing the movie. Raashi Khanna and Seerat Kapoor will be seen romancing the Mass Maharaj. The film is being produced by Nallamalupu Srinivas and Vallabhaneni Vamsi.